Thanks to Bev Sweet for this amazing photo taken at the Hogs Heaven, overlooking the North Sound. This is fast becoming a must visit for our charter guests…! 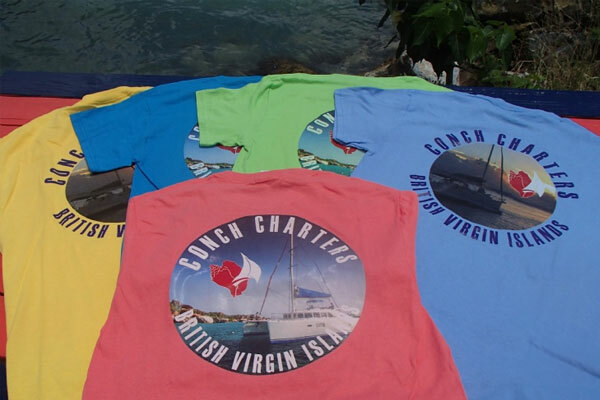 New Boutique items at Conch Charters! Over the past few weeks we have been adding new items to the boutique! Tote Bag– made from recycled Conch Charters sails, great for the beach! Luci Lights– extremely versatile, LED solar powered lanterns that we now used on all our charter boats as cockpit lights! We are also very excited to announce two new boats entering the Conch Charters fleet! From 15th May we will have another Leopard 43, John Mon’s Legacy joining us and then another Leopard 46, Kokomo III available from the middle of summer. Both of these models of catamaran are very popular to charter. …the white cedar is the national tree of the BVI! White Cedar is the best wood for boat building, as it is resistant to rotting and termites. It is great for making traditional BVI sloops out of, the design is over 100 years old! H. Lavity Stout College has restored three traditional BVI sloops at their maritime division over the years. During Carnival in August each year both the Governor and Premier of the BVI enjoy racing the classic sloops. It’s exactly where it says it is…on the hillside above the Baths on Virgin Gorda! Open for breakfast, brunch and lunch, enjoy amazing panoramic views on their decking area looking back towards Tortola and up to the Dogs. Their menu offers traditional Caribbean dishes and freshly caught fish. They also offer Sushi at lunch times! You have to try one of their own cocktail creations, the ‘Boulder Roller’! It contains over 5 different types of spirits mixed with fruit juices. Watch your step as you head back down the hill towards your boat! On site they have a pool and a collection of shops for you to explore as well! Make sure you stop in after exploring one of the BVI’s most famous spots, even if it is only for a quick drink. They have a pool and a collection of shops for you to explore as well! Half fill a blender with ice and add ingredients. Pour into a 12 oz glass and decorate with fresh pineapple – bottoms up! An idyllic sandy bay surrounded by huge granite boulders, with beautiful clear blue waters. Click here to email us your answers and stand a chance of winning a Conch Cap! Recent huge price drop to motivate sale!! Rosemarie was hauled in July 2014 and antifouled. New skin fittings and seacocks were replaced during the haulout. The Beneteau 343 with two cabins and a large shower area in the heads ensures quite spacious accommodation with plenty of room to relax. There is plenty of stowage space with a massive cockpit locker. The aft cabin has a very large double bunk and impressive headroom. There is a decent sized V berth in the forward cabin. Functional and comfortable the cockpit can handle up to six people. The wheel swivels allowing easy access to the transom for swimming. We love hearing from you all! Please keep sending in your photos from your trip around the BVI, we love seeing them and sharing with others. Also don’t forget to send us your Conch caps photos!